Your CV is likely to be viewed by more than one decision maker along the recruitment journey, so it pays to know who your target audience is when creating a CV. Three key stakeholders that will review your resume include the Recruitment Consultant or HR Manager, the Hiring Manager and the Senior Manager (or the person you will be reporting to). Each group has different needs, so you will want to make sure that each audience group is able to get the information they need as easily as possible. Here are some suggestions as to how you might target each audience group to make sure your CV hits the mark. The first group you will want to reach are Recruitment Consultants or HR Managers who will be interested in finding out if you can actually do the role you’re applying for. Keep in mind, Recruiters and HR Managers might be looking at more than 100 applications and they will be trying to get this number down to the top three to five people to be interviewed by the Hiring Manager. Therefore, you need to provide a clear overview of the businesses you have worked for and a succinct description of your roles and responsibilities. It is also worth remembering that the Recruitment Consultant or HR Manager may be working to a specific brief, so they will be scanning your CV for keywords that match that brief. They might also be running searches on databases, such as LinkedIn and SEEK where your CV may be stored, so keywords are important if you want to be found in these searches. Think keywords and make sure the keywords you use are relevant to the advertised role and job criteria. For example, use keywords such as cross-functional team experience, matrix environment, FMCG marketing, ATL/BTL communications, NPD, stage gate, retailer facing, etc. The Hiring Manager will want to understand what you have delivered in your previous roles. They will want to know that you have experience in delivering similar projects to those that you will be required to deliver in the role you’re applying for. The Senior Manager or the person you will be reporting to will be more focused on the financials, as well as your commercial aptitude, so make sure your examples demonstrate these key skills. Include commercials – what was the portfolio when you stepped into the role versus when you stepped out of the role? Include KPIs and targets – what were you working toward and what did you achieve? 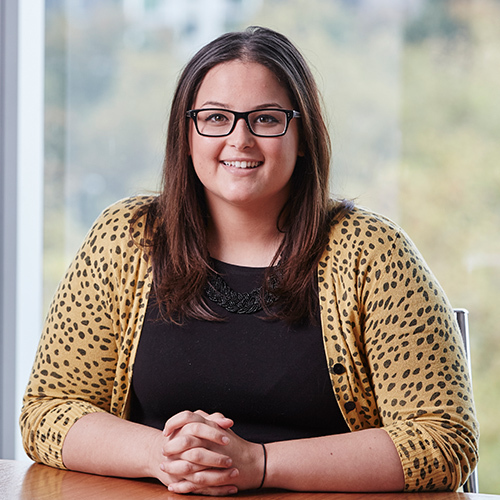 Speak to Natalie about Digital, Marketing and Contracting opportunities in Melbourne.